Highway Entertainment is pleased to now add OutRun2 Special Tours Conversion Kits to its product portfolio. OutRun2 Special Tours Conversion Kits allow original OutRun2 twins to be upgraded to benefit from the new Special Tours software. The new software adds 15 additional courses all featuring an American theme and including many familiar landmarks, taking the total number of courses offered in the game to 30. This version also offers more Ferrari's - giving the player a choice of ten of Italy's best. OutRun2 Special Tours offers extra handling options and a feature allowing players to mix and match old and new courses to enhance game play. The original soundtrack is also included as part of the background music line up to appeal to the older player who may remember the original 80's game. 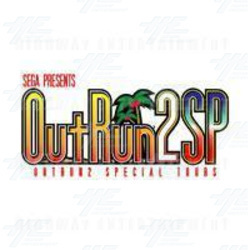 For more information on OutRun2 Special Tours Conversion Kits please Click Here.